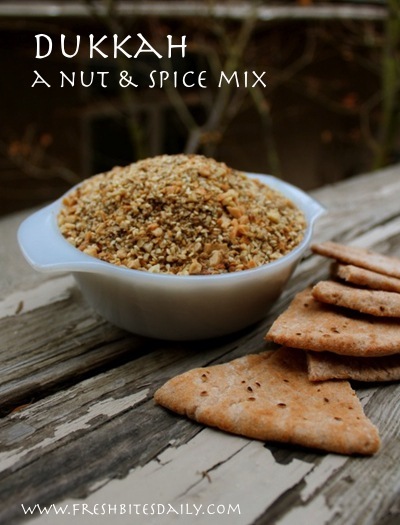 Dukkah is one of those seed/nut/spice blends from North Africa that can turn most any food into a celebration. It may have originated in Egypt and I understand that dukkah began as a pack-and-carry food for camel drivers. After a day or two in the desert, the flatbread is hard and tasteless. Dip it in olive oil and then in dukkah and, voila!, you have a tasty and nutritious meal. 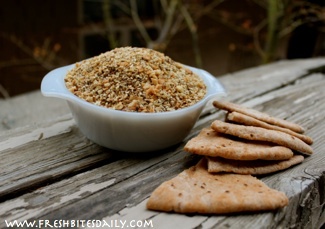 Dukkah is also known as dukka and duqqa. 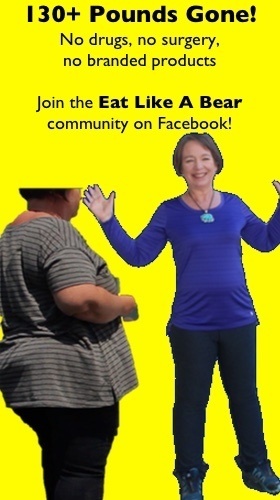 There are as many recipes for it as there are families who make it, so do feel free to put it together to suit yourself and to fit the ingredients you have available in your region. It seems that hazelnuts were the original nut used in the dukkah mix. I’ve never seen a hazelnut tree, but we have almonds a-plenty in this area. This dukkah recipe features almonds. The dukkah flavor is complex and satisfying, not sharp or hot. Come up with the mix you like and you will find yourself sprinkling it on everything imaginable: scrambled eggs, cooked grains, creamed soups, salads, steamed or roasted vegetables, baked potatoes, and topping for quiche. Of course, if you are like us, you may sit down with the amount of dukkah produced by this recipe and a nice batch of homemade flatbread warm from the grill. http://www.traditional-foods.com/recipes/flat-bread/ Bring in a good extra virgin olive oil and call it a meal. The wee folks in this family treat it like it’s a party. Toast the almonds separately from the seed and spice mix if the almonds are whole. I get fat slivers of blanched almonds at a Middle Eastern grocery store. They are small enough to roast with the seeds and spices. Measure all the ingredients into a heavy skillet. Cast iron is lovely for this job. Toast the mixture over a low flame until it becomes quite aromatic, about five minutes. I recommend stirring the whole time for an even roasting of the ingredients. When the roasting is complete, dump the dukkah mixture onto a plate to cool. If you leave it in the heavy skillet it will continue to roast from the stored heat in the pan and may overcook. Place the cooled mixture into a food processor and grind just enough to produce a grainy dukkah, not a powdery blend. Remember that seeds and nuts oxidize quickly after they have been roasted and/or ground. Store your unused dukkah in a tightly closed container in the refrigerator and plan to use it within the month.